Phenom University was without a couple of key pieces, meaning it was Beekman’s show on Friday. In complete control of the game, Phenom University almost couldn’t afford to take Beekman off the floor on opening night. Leading his team to a win over the Illinois Wolves, Beekman picked apart the opposition with drives to the rim, timely 3-pointers, and gorgeous assists. Beekman took over the game in the second half, silencing just about every run the Wolves had. Even when it looked like the game was slipping away from Phenom University, Beekman was calm, poised, and kept his team in the driver’s seat. There was some buzz about Boser heading into Friday and he didn’t disappoint. The Eau Claire Memorial standout went for 21 points in a hard fought victory over Nova Village. A pick n’ pop big man who kills defenses from beyond the arc, Boser has now paired that with some attacking ability off the dribble. Boser converted some smooth and impressive drives in traffic on Friday, showcasing an inside-outside threat. The 6-foot-8 junior also protected the rim at a high level, sending back a number of shots. 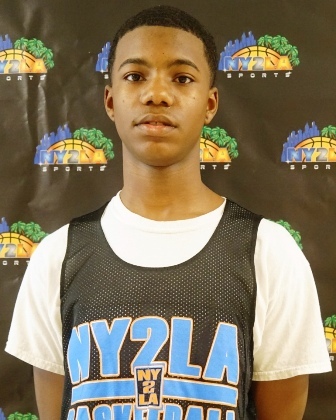 A strong, athletic guard, Gittens led his team to a win over Meanstreets Select on Friday. Gittens’ highlighted his performance with a nasty poster dunk in transition, able to play above the rim at just 5-foot-11. Once Gittens gets downhill and his momentum going towards the rim, he’s tough to stop. He can be a little out of control at times, but isn’t fazed by contact and is quick enough to beat rotating defenders to the basket. Jedkins has physical tools that set him apart from other freshmen. The 6-foot-7, 180-pound forward is a long, strong, and athletic physical specimen. Most impressive about Jedkins, he doesn’t rely on his physical attributes. Jedkins gets after people up and down the floor, looking to cause havoc defensively. Jedkins was very effective as a slasher in win over Full Package. Once he caught at the high post, it was pretty much an automatic two points. 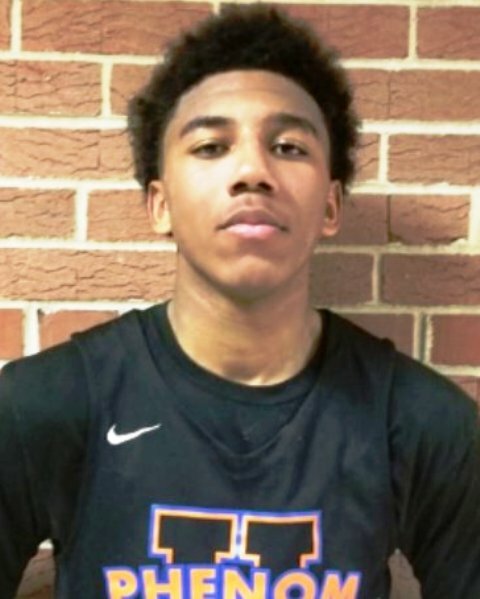 There’s a lot of high major schools eager to see Lewis this spring. The 6-foot-8 combo forward showed some strong flashes in a blowout win over EG10. Lewis had 16 points, all in the first half as Mac Irvin Fire won by mercy rule. Lewis controlled the paint, catching and finishing around the rim, and also showed a mid-range jumper. A bouncy, athletic forward that gets off the ground quickly, Lewis is an intriguing athlete with potential to play either forward position effectively at the next level. Murphy shot the lights out in a tight loss on Friday. The Seymour guard hit five triples alone in the first half against All-In Athletics. Murphy (5-11) is a little undersized, but compensates with a very quick stroke and nearly unlimited range. Once Murphy got into a groove, his confidence soared as the sharpshooter was knocking down shots from well beyond the arc. Able to play and score on and off the ball, Murphy is sure to catch some Division 2 looks this spring/summer. Just a freshman, Nelson is already a legit D1 talent. The 6-foot-8 freshman has a great 3-point stroke and stayed aggressive for all 30 minutes. Showcasing the best motor on the floor in Friday’s win over Full Package, when Nelson wasn’t getting his shot, he was working his tail off to get the offensive board. A long, athletic forward with a blue collar work ethic, Nelson definitely has the makings of a high major prospect and a mismatch nightmare going forward. Podziemski hit a couple of dagger 3-pointers to help Wisconsin Rap knock off Meanstreets Select. One of the best kept secrets in Wisconsin right now, Podziemski was the Midwest Classic Conference Player of the Year as a sophomore. The 6-foot-4 guard is a consistent spot-up shooter from beyond the arc and made defenders pay for lackadaisical coverage. Playing up a level, Podziemski wasn’t able to showcase his skills on the ball much against an athletic Meanstreets squad, but is capable of shooting off the dribble and creating his own shot. A smooth and elusive guard, Rogers had a good showing despite a loss to the Wisconsin Swing. The 6-foot-2 point guard was an exceptional playmaker and found different ways to get into high percentage areas. Once defenders had to start respecting his driving ability, Rogers hit them with a jab-step jumper. A three-level scorer with plenty of counters, Rogers simply took what the defense gave him and helped Nova Village remain within striking distance for pretty much the entire 30 minutes. Tchoua provided the Wolves with a spark in a loss to Phenom University. A high motor, athletic forward, Tchoua had some punishing finishes at the rim. The 6-foot-7 unsigned senior helped the Wolves overcome a slow start and allowed them to slowly chip away. Able to get up and down in transition and create second chance opportunities, Tchoua was perhaps the most active player on the floor during Friday’s star-studded matchup.